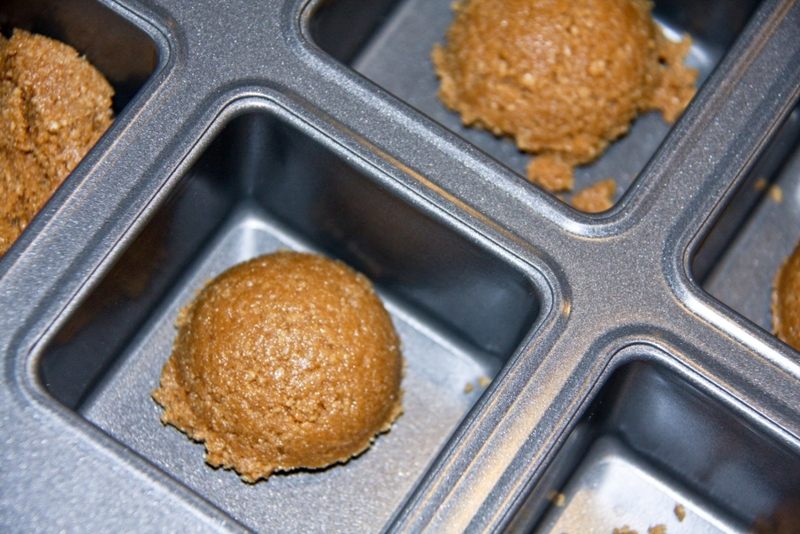 This is an oldie, but a goodie…I thought I would share this recipe with all of you again. Have a wonderful Fourth of July! *Do not use vanilla extract. Since this is raw the alcohol will not cook out and will taste bad. In the morning put 2 cups of raw cashews and 1 cup of macadamias in a container and cover the nuts with filtered water. 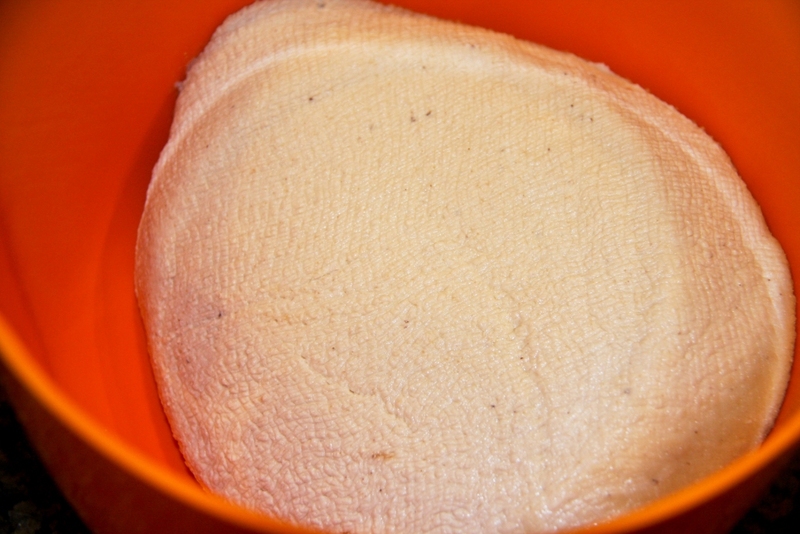 Place the container in the fridge to soak (click here to see how I did just this for raw vegan goat cheese). 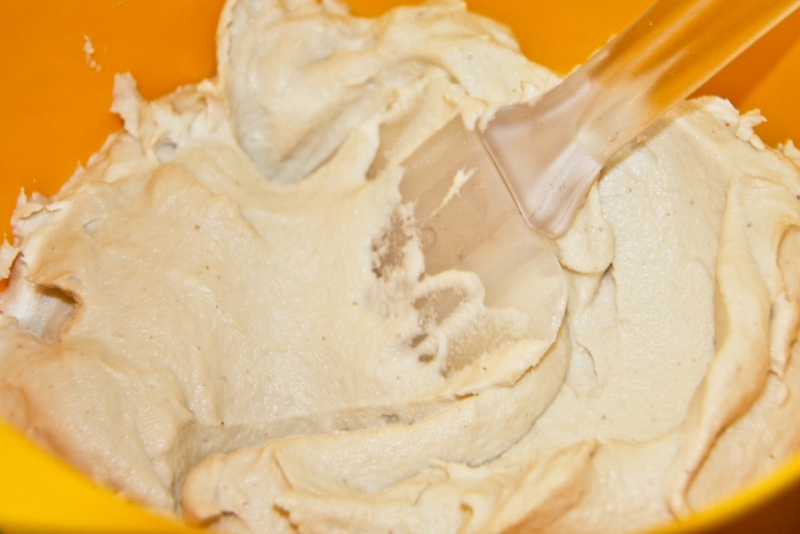 In the afternoon or evening take the container of cashews and macadamias out of the fridge and drain and rinse the nuts. Place the drained and rinsed nuts in your Vitamix along with ½ cup filtered water and blend VERY well. 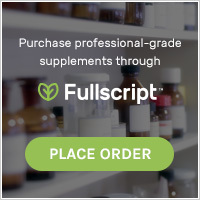 This process will take quite a few minutes and your Vitamix will be working very hard! Make sure you use the center agitator to help it along. 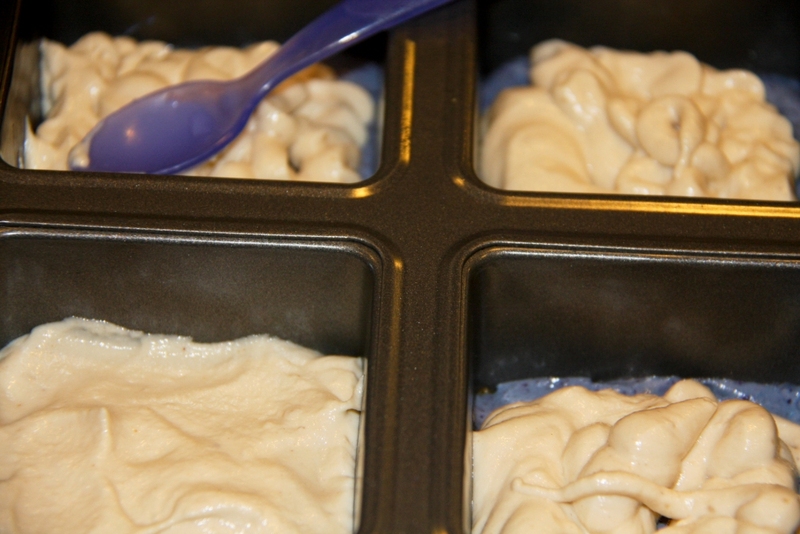 You want to mixture to be very, very, very smooth…it will be warm from all of the blending. 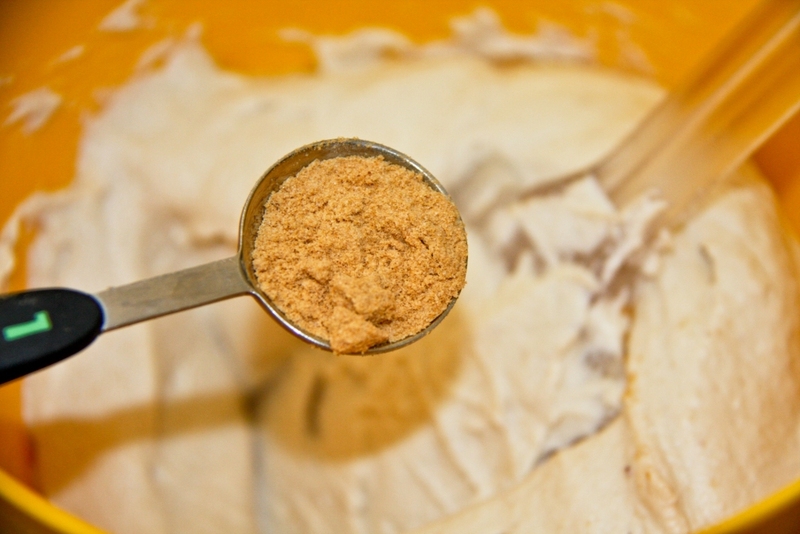 Once the mixture is smooth, place it in a bowl and combine with the probiotic powder. Mix well. Place the mixture in a cheesecloth lined colander and cover it. Place the colander in a bowl (in case any liquid leaks out) and leave it out at room temperature for 12 hours to cure (overnight). 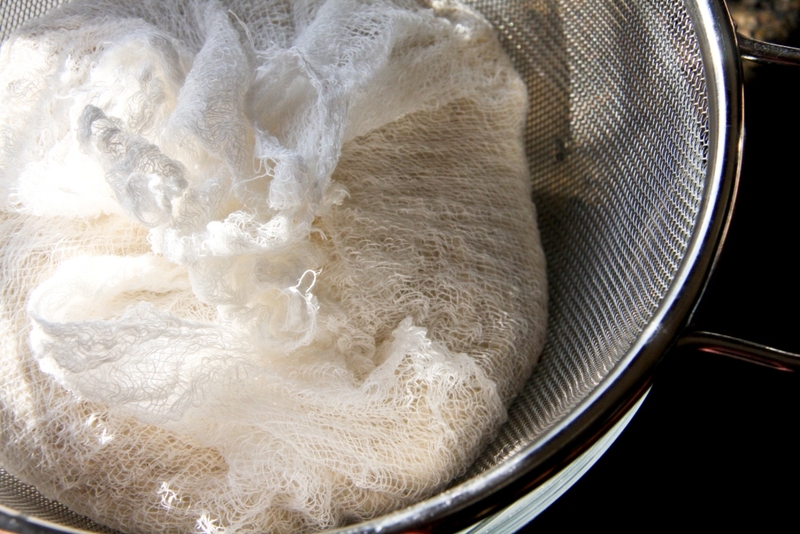 You can also place a plate and pie weights on top of the cheesecloth to encourage the release of moisture. 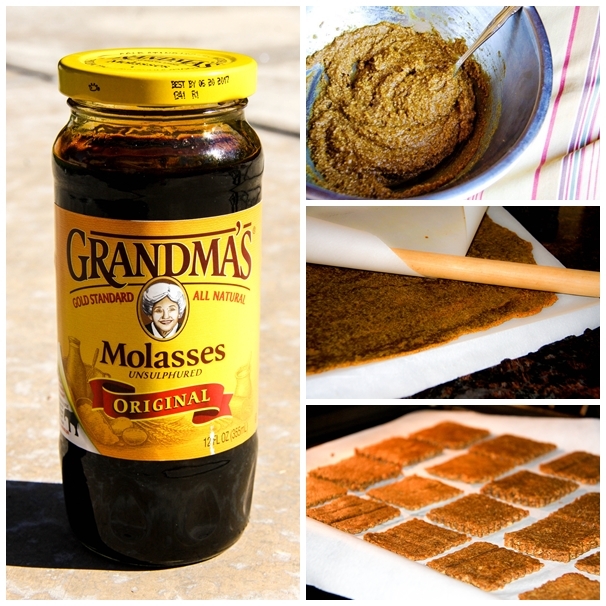 Meanwhile make the crust by combining the graham style crumbs with the melted Earth Balance and Somersweet. 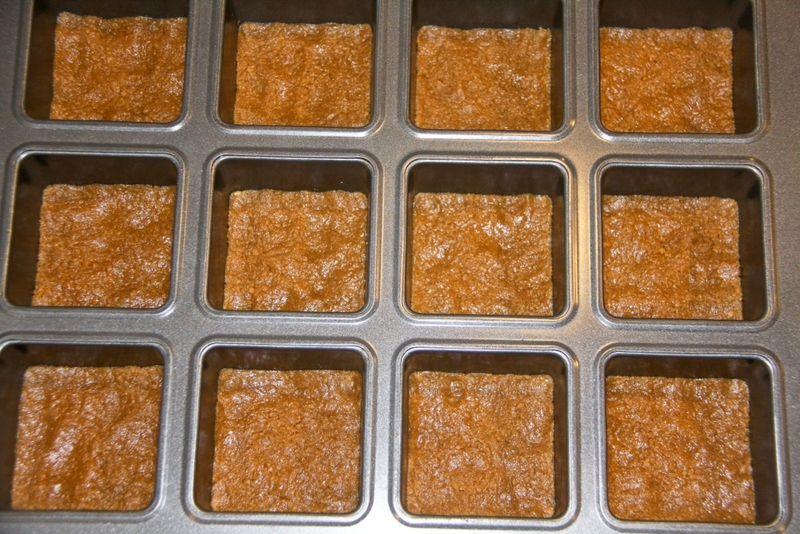 Once combined, press the graham crust into the bottom of a springform pan or create individual cheesecakes by using a mini crumb cake pan and filling each with 1 Tbs. of the graham crust mixture and pushing it down (in a crumb cake pan the bottom of each cake lifts-up to help unmold the cakes). Place in the fridge to set-up. 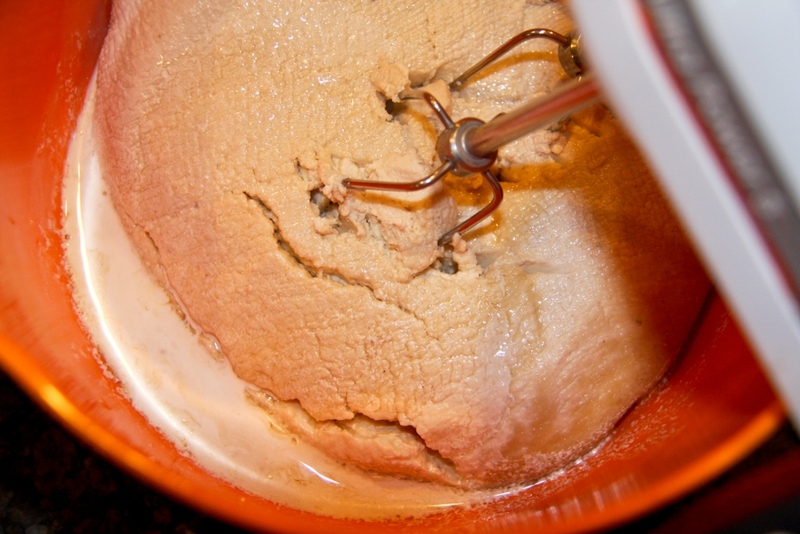 In the morning place the cured cheese mixture in a bowl and use a hand mixer to blend in 1 Tbs. lemon, 1/3 cup So delicious, 1 Tbs. vanilla, ¼ cup agave, 4 stevia packets, and a pinch of salt. The Basic Filling recipe is now complete. 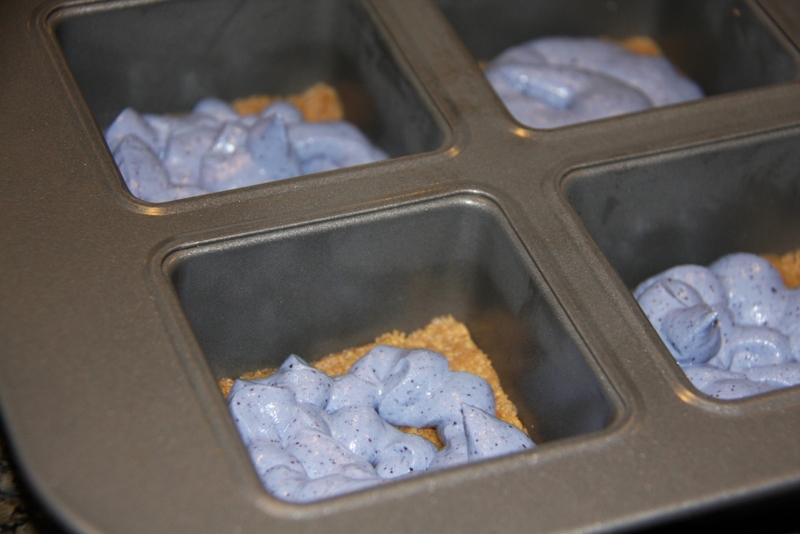 Create the blue layer by blending 1 cup of the Basic Filling with ½ cup of frozen blueberries (optional blue food coloring). For the white layer, either use the Basic Filling as is or blend 1 cup of the Basic Filling with ½ cup of sliced bananas. 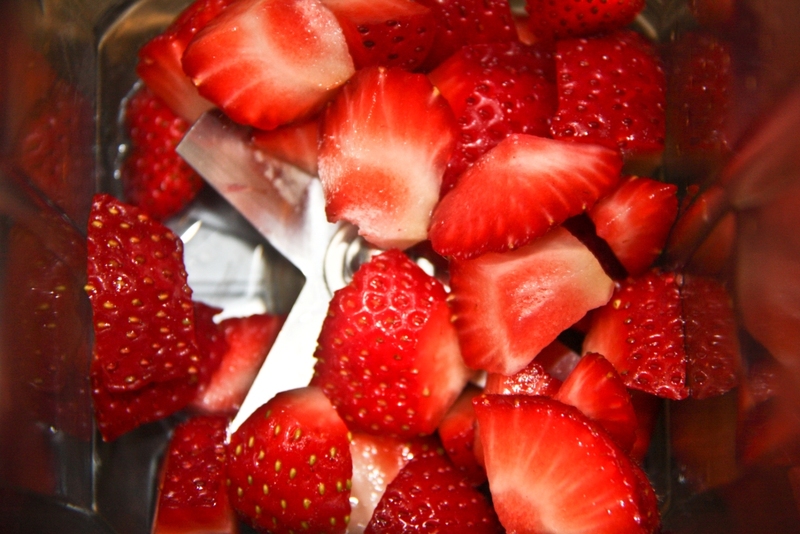 Create the red layer by blending 1 cup of the Basic Filling with ½ cup of sliced strawberries (optional red food coloring). Pipe a small layer of the blueberry mixture onto each crust. Smooth the layer to make it level and follow with a layer of white, and then a layer of red. Place in the freezer to set-up for 1-2 hours or overnight. 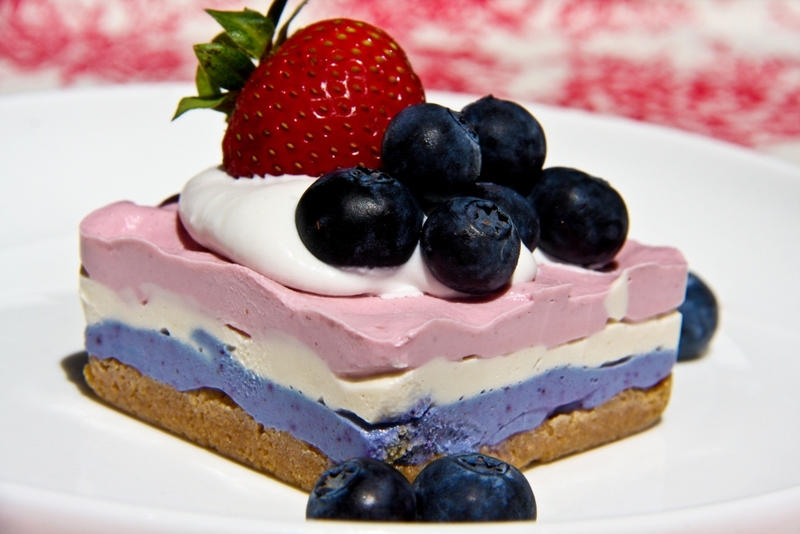 Remove from the freezer 10-15 minutes before serving to allow the cheesecake to thaw slightly. 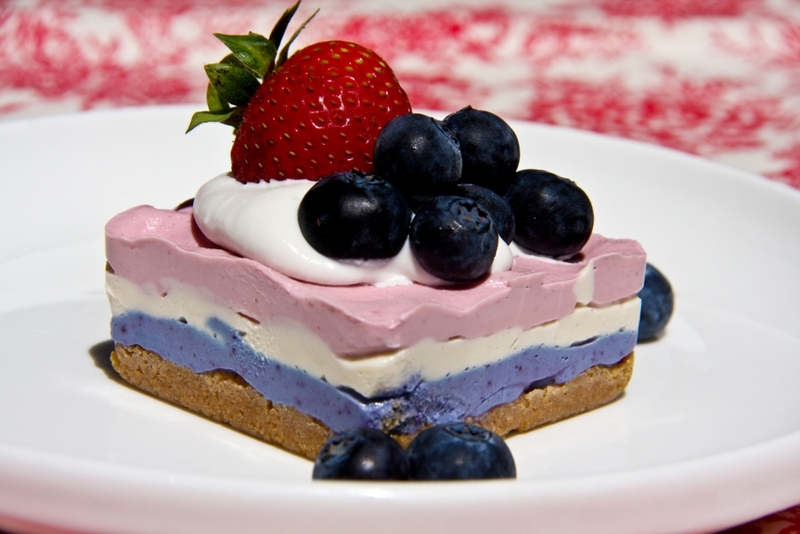 Top with your favorite non-dairy whipped cream and fresh berries. Note – I am a Vitamix affiliate and whole-heartedly endorse the use of this wonderful machine! 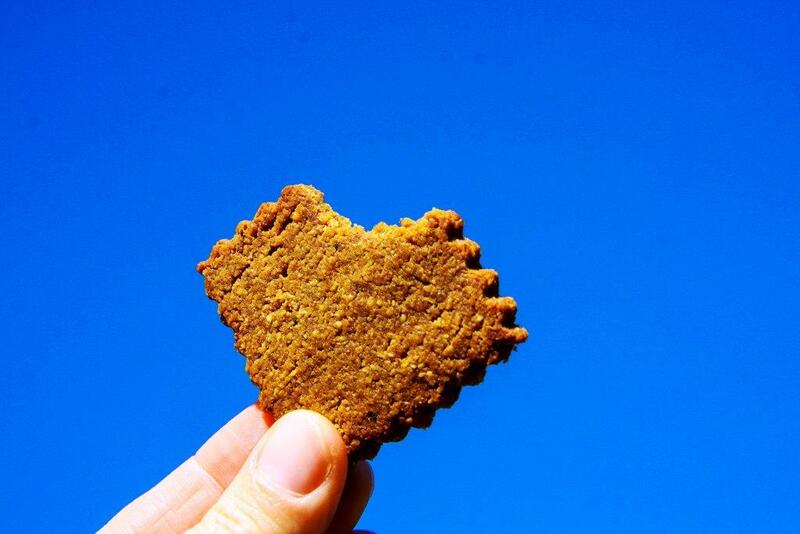 I wish you all a very happy day filled with love and friendship. I thought I would revisit one of my family’s favorite recipes…the recipe I created for my honey last Valentines and the recipe that my children requested for tonight’s dessert! As I type this Christmas music is playing in the background, there is apple cake in the oven, and my family is putting together a holiday lego set while feasting on gluten-free pancakes. I hope your next few days are filled with family and friends, rest, and gratitude. Now that we are into the holiday season I do make a few more treats than normal (though I do feel the need to admit that I generally do not eat many of them). Melt the bag of chocolate chips over a double boiler along with 1-2 tsp. of oil. 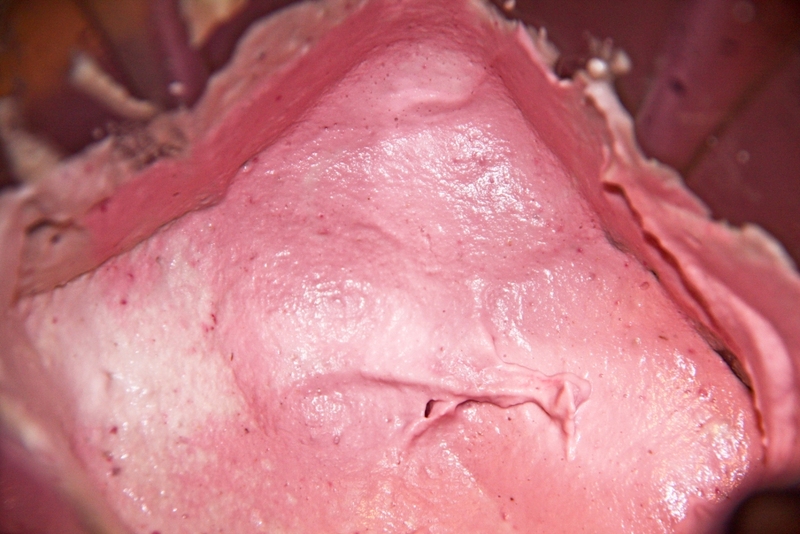 Once melted, pour a small layer into mini cupcake liners and place it in the fridge for approximately 10 minutes. Place the melted chocolate over the double boiler to ensure that it remains melted. Top the hardened chocolate with some peanut butter and try to keep it in the center allowing a rim of chocolate to remain around it (this will allow the next layer of chocolate to completely cover the peanut butter). 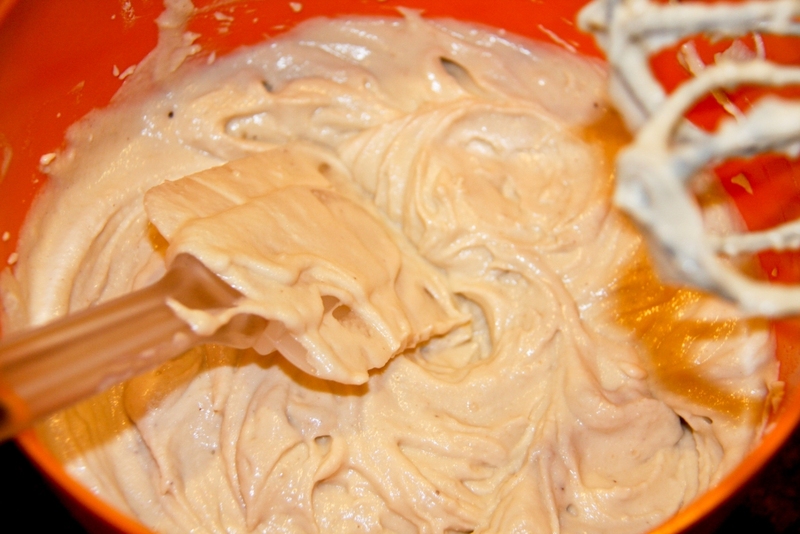 Cover the peanut butter with another layer of chocolate and place in the refrigerator to harden. This year I used the same method to make chocolate covered pretzels (gluten-free) and peanuts. My daughter and I broke small pretzel sticks in half and mixed them with the melted chocolate. We then placed spoonfuls of the chocolate covered pretzels on waxed paper to cool and harden…little chocolate bird’s nests. We had some left over at the end with a little too much chocolate, so we mixed in some peanuts and made spoonfuls of that. They have been a total hit with my family! I am in the thick of preparing gifts for the coaches and teachers in my children’s lives and I thought I would share with you what we are gifting food-wise this year. My daughter wanted to gift her teachers with some body butters, and my son will be giving some of his middle school teachers gift certificates, but we will be giving the coaches in our lives the “healthier” caramel popcorn that I made one month as my Secret Recipe Club assignment. The original version was loaded with butter and sugar, so I rolled-up my sleeves and did my best to remake the recipe. 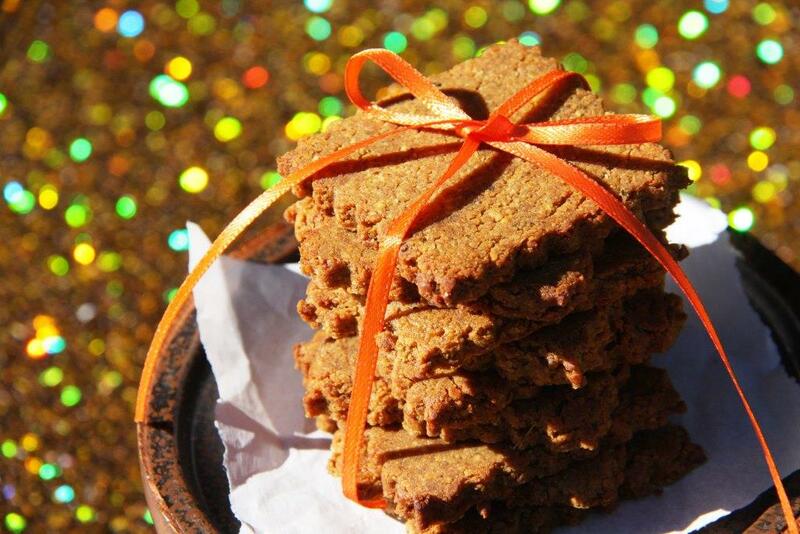 My family loves the recipe I came-up with and while it is definitely a treat, it is much healthier than the traditional version. I just air popped the popcorn and will be making it into caramel popcorn tomorrow. This recipe is SO EASY. I have made caramel popcorn before where you have to stir and stir and stir and with this recipe you shake it all up in a big brown paper bag…it couldn’t be more simple. Click HERE for the recipe or HERE for the original post with detailed pictures. 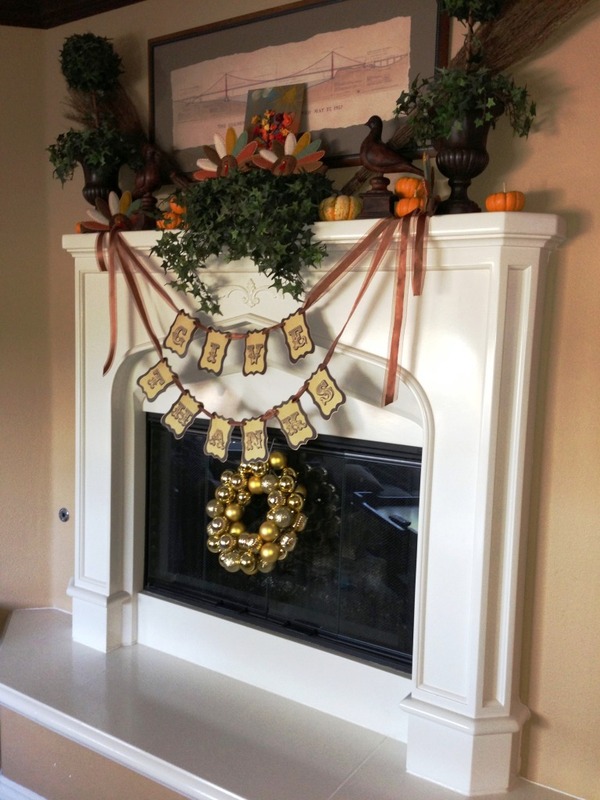 Last month I did a post about the Fall candle display I created for my kitchen’s center island. This past week I spent the evening changing it up to reflect the holidays which are now in full swing. With a few simple changes and a glue gun at my disposal, this project quickly came together. I picked-up some candles at IKEA, a 40 pound bag of salt (intended for a water softener) at Home Depot, and 2 containers of cinnamon sticks from Costco (I already had the ribbon in my gift-wrapping stash). I also filled 4 mason jars with salt, glued a halo of ribbon around each jar, and topped each with a red tea lights before placing them on my windowsill. I am having so much fun decorating and getting into the holiday spirit. Happy Thanksgiving! I have spent the last few days prepping for our feast and spending time with my parents. We have had lots of great family time and hope the same for you. Please excuse the iPhone pics…today was ALL about cooking and family, so I am sure these will do. 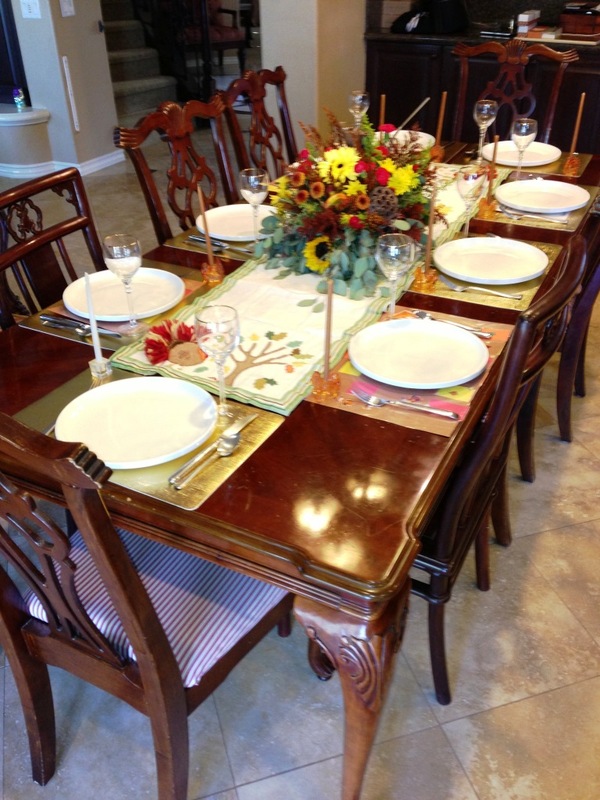 Thanksgiving time is a favorite in our household…family begins to gather and it signals the beginning of the holiday season. 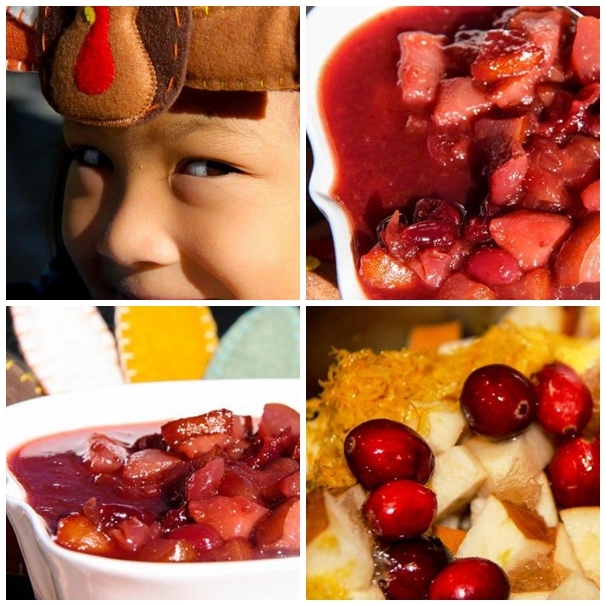 For the past three years I have been working on making a healthier version of the cranberry sauce that did not include sugar. 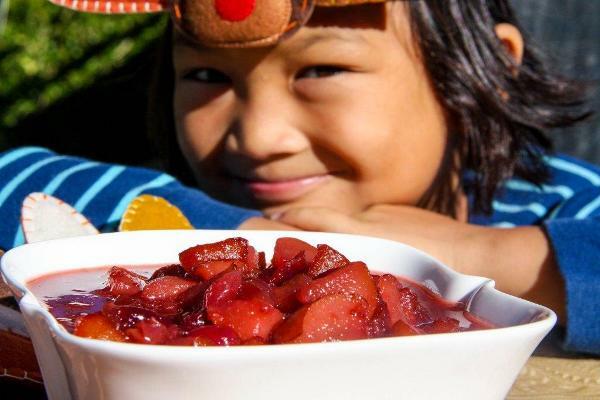 I tried making it with xylitol (I am not a fan), stevia (it just wasn’t the same), and this year I made my favorite version yet using apple juice concentrate. This will be my go-to cranberry sauce for years to come. Place all of the ingredients in a sauce pan and simmer on low (make sure it does not boil over) until it is reduced to 1/3 of its original volume. Cool and refrigerate until ready to eat. My family will be spending Thanksgiving at home this year and I want it to be very special. It is important for all of us to remember what this day is truly about (not the food…though it is always amazing), and with a little help from Pinterest, we are on our way. 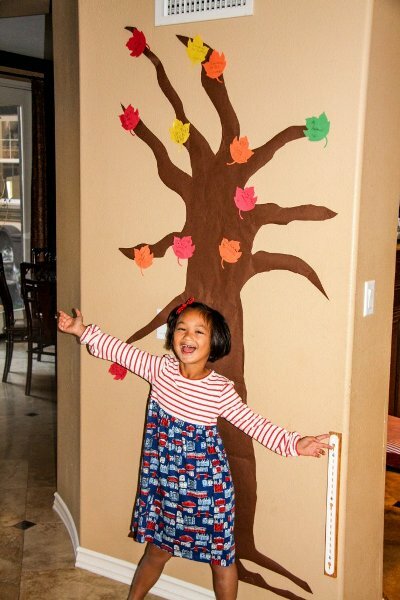 The blog Bargain Bound inspired our family’s Tree of Gratitude this year. Admittedly I am clearly not a professional tree-maker (the leaves will cover the evidence of that up more and more each day), but with the help of my local scrap booking store, I did NOT have to become an expert at cutting out leaves. Within 30 minutes I had over 120 perfect leaves thanks to their collection of maple leaf die cuts. Somehow I had never ventured into the store before and I know I will be spending a lot of time there now for future holiday projects, etc. Talk about a MAJOR time saver! 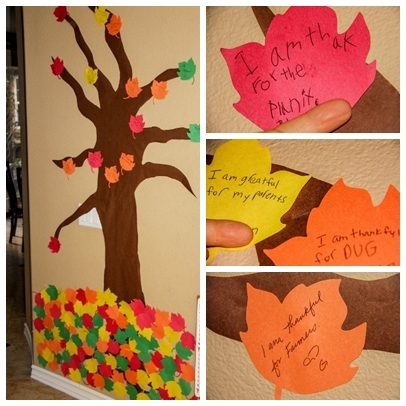 The kids and I have been filling-out one leaf per day and it is heart-warming to see how they are getting more and more into the exercise each day. I can’t wait to watch the tree’s branches become full of my family’s gratitude. 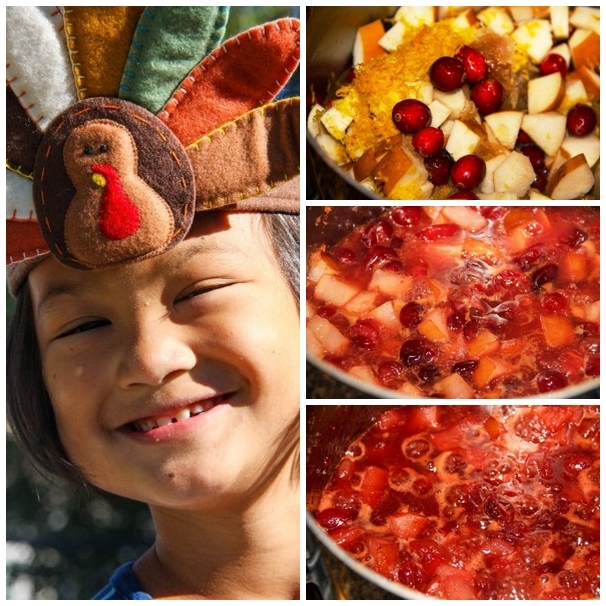 Do you have any special Thanksgiving traditions?